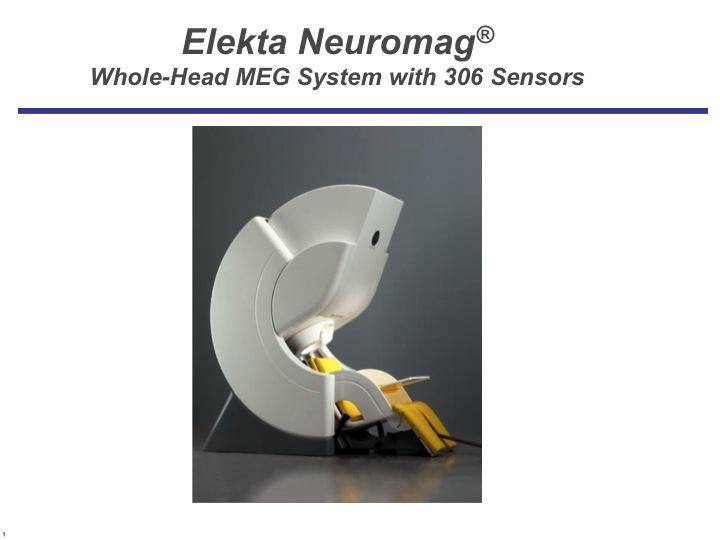 Home » MEG Brain Imaging » What is Magnetoencephalography (MEG)? 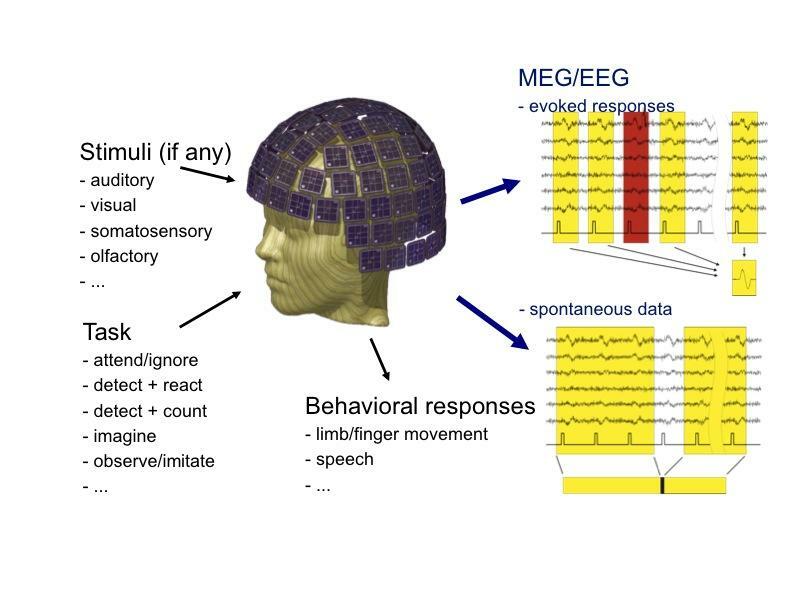 Magnetoencephalography (MEG) is a non-invasive technique for investigating human brain activity. It allows the measurement of ongoing brain activity on a millisecond-by-millisecond basis, and it shows where in the brain activity is produced. What Areas of the Brain Can We See with MEG? At the cellular level, individual neurons in the brain have electrochemical properties that result in the flow of electrically charged ions through a cell. 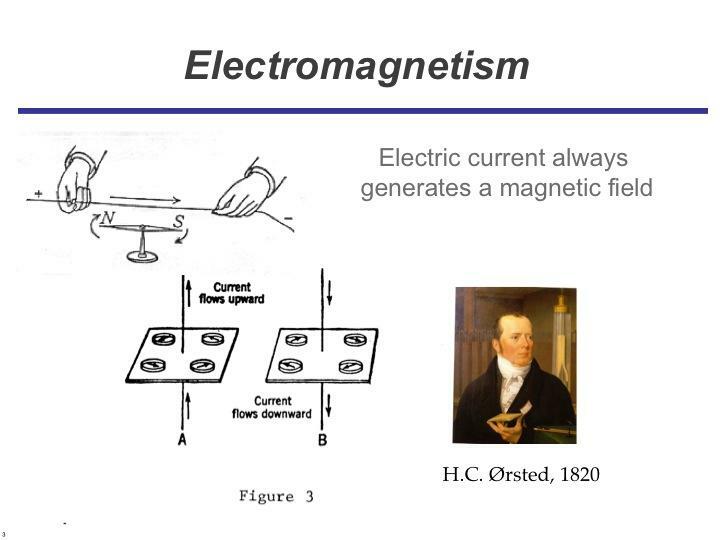 Electromagnetic fields are generated by the net effect of this slow ionic current flow. 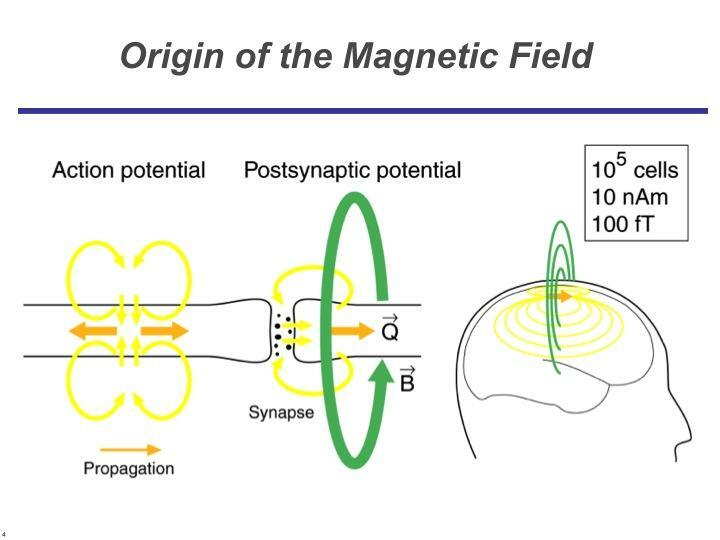 While the magnitude of fields associated with an individual neuron is negligible, the effect of multiple neurons (for example, 50,000 – 100,000) excited together in a specific area generates a measureable magnetic field outside the head. These neuromagnetic signals generated by the brain are extremely small—a billionth of the strength of the earth’s magnetic field. Therefore, MEG scanners require superconducting sensors (SQUID, superconducting quantum interference device). 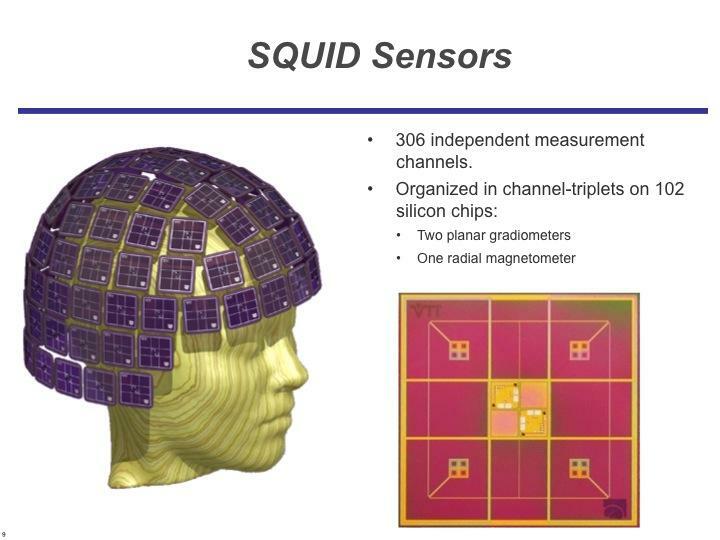 The SQUID sensors are bathed in a large liquid helium cooling unit at approximately -269 degrees C. Due to low impedance at this temperature, the SQUID device can detect and amplify magnetic fields generated by neurons a few centimeters away from the sensors. 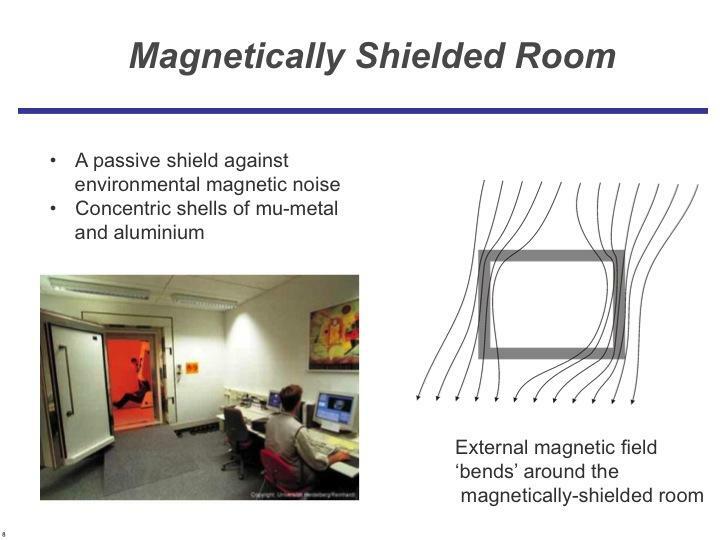 A magnetically shielded room houses the equipment, and mitigates interference. What are the advantages of MEG? 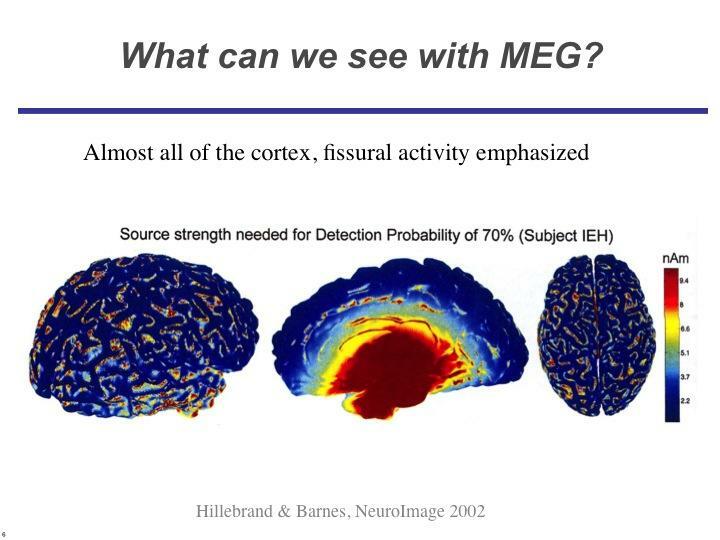 MEG has advantages over both fMRI and EEG. The technologies complement each other, but only MEG provides timing as well as spatial information about brain activity. fMRI signals reflect brain activity indirectly, by measuring the oxygenation of blood flowing near active neurons. 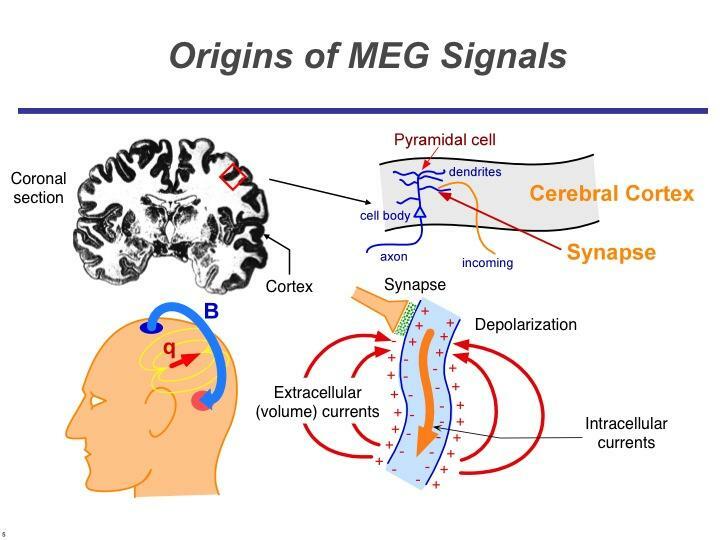 MEG signals are obtained directly from neuronal electrical activity. MEG signals are able to show absolute neuronal activity whereas the fMRI signals show relative neuronal activity, meaning that the fMRI signal analysis always be compared to reference neuronal activity. This means that MEG can be recorded in sleeping subjects. MEG does not make any operational noise, unlike fMRI. While fMRI measurement requires the complete absence of subject movement during recording, MEG measurement does not, so children can move their heads within the MEG helmet. Finally and most importantly, MEG provides us with temporal characteristics about brain activation with sub-millisecond precision, whereas fMRI measurement provides poor temporal information. MEG provides also more accurate spatial localization of neural activities than EEG, a complementary method of recording brain activity. The I-LABS MEG Brain Imaging Center system allows co-registration of EEG and MEG.